The Black Watch (Royal Highland Regiment) of Canada is a reserve infantry regiment in 34 Brigade Group, 2nd Canadian Division of the Canadian Army. The regiment is located on Bleury Street in Montreal, Quebec, Canada, and is currently commanded by Lieutenant Colonel Bruno Plourde, CD. The regiment's armoury was designated a National Historic Site of Canada in 2008. They are the senior Canadian-Scottish Regiment. Volunteers have served since the regiment's inception in Montreal on 31 January 1862, as the 5th Battalion, Volunteer Militia Rifles of Canada. The rise of American military strength during their Civil War concerned Canada. The government authorized formation of militia regiments. Each of six Montreal Scottish chieftains responded by raising an infantry company for the 5th Battalion. Eventually, eight companies were raised. Since then, thousands of Canadian citizens have served in the Black Watch. In addition to service during the Fenian raids, they have fought in the Great War and the Second World War; bolstered NATO operations in Europe and UN peacekeeping worldwide; and helped their fellow Canadians at home during the 1998 Ice Storm (Operation ASSISTANCE) and 2011 flooding in Quebec (Operation LOTUS). Redesignated 7 November 1862 as the 5th Battalion, "The Royal Light Infantry of Montreal"
Redesignated 19 November 1875 as the 5th Battalion, "Royal Fusiliers"
Redesignated 27 February 1880 as the 5th Battalion, "Royal Scots Fusiliers"
Redesignated 29 February 1884 as the 5th Battalion, "Royal Scots of Canada"
Redesignated 8 May 1900 as the 5th Regiment "Royal Scots of Canada"
Redesignated 2 May 1904 as the 5th Regiment "Royal Scots of Canada, Highlanders"
Redesignated 1 October 1906 as the 5th Regiment "Royal Highlanders of Canada"
Amalgamated 16 October 1953 with the 1st Canadian Highland Battalion and the 2nd Canadian Highland Battalion, which became the 1st and 2nd Battalions, respectively, while the Reserve component of the regiment became the 3rd Battalion. 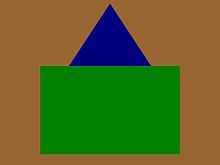 1 July 1970 the 1st and 2nd Battalions were reduced to nil strength and transferred to the Supplementary Order of Battle and the Reserve Force battalion automatically relinquished its numerical designation. 5th Battalion, Select Embodied Militia. The 5th Battalion, The Royal Light Infantry of Canada, was called out on active service on 8 March 1866 and served on the South-Eastern frontier until it was removed from active service on 31 March 1866. The battalion was again called out on active service on 24 May 1870, again serving on the South-Eastern frontier until it was removed from active service on 31 May 1870. The regiment did not fight in the Boer War in South Africa, but contributed volunteers for the various Canadian units, mainly to the 2nd (Special Service) Battalion, Royal Canadian Regiment of Infantry. Details of the 5th Regiment, Royal Highlanders of Canada, were placed on active service on 6 August 1914 for local protective duty. The 13th Battalion (Royal Highlanders of Canada), CEF, was authorized on 1 September 1914 and embarked for Great Britain on 26 September 1914, disembarking in France on 16 February 1915, where it fought as part of the 3rd Infantry Brigade, 1st Canadian Division in France and Flanders until the end of the war. The 13th Battalion was disbanded on 15 September 1920. The 42nd Battalion (Royal Highlanders of Canada), CEF, was authorized on 7 November 1914 and embarked for Great Britain on 10 June 1915, disembarking in France on 9 October 1915, where it fought as part of the 7th Infantry Brigade, 3rd Canadian Division in France and Flanders until the end of the war.The battalion was disbanded on 15 September 1920. The 73rd Battalion (Royal Highlanders of Canada), CEF, was authorized on 10 July 1915 and embarked for Great Britain on 31 March 1916, disembarking in France on 13 August 1916, where it fought as part of the 12th Infantry Brigade, 4th Canadian Division until 9 April 1917 when it was withdrawn from the line after Vimy and was disbanded, its personnel used as replacements for other units. The battalion was officially disbanded on 19 April 1917. The 2nd Battalion was called out on service on 26 August 1939 and details of the battalion were placed on active service on 1 September 1939, as the 2nd Battalion, The Black Watch (Royal Highland Regiment) of Canada, CASF (Details), for local protection duties. These details were disbanded on 31 December 1940. The regiment mobilized the 1st Battalion, The Black Watch (Royal Highland Regiment) of Canada, CASF, on 1 September 1939. This unit, which served in Newfoundland from 22 June to 11 August 1940, embarked for Great Britain on 25 August 1940. Three platoons took part on the raid on Dieppe on 19 August 1942. On 6 July 1944, the battalion landed in France as part of the 5th Infantry Brigade, 2nd Canadian Infantry Division, and it continued to fight in North West Europe until the end of the war. The overseas battalion was disbanded on 30 November 1945. The regiment subsequently mobilized the 2nd Battalion, The Black Watch (Royal Highland Regiment) of Canada, CASF, on 18 March 1942. This unit served in Canada in a home defence role as part of Atlantic Command until it was disbanded on 15 August 1943. The 1st Battalion, Black Watch was brigaded with Le Régiment de Maisonneuve and Les Fusiliers Mont-Royal of the Second Canadian Division; however the FMR were replaced with The Calgary Highlanders in the 5th Brigade in 1940. On the voyage to France on the day of the Dieppe Raid, casualties were suffered by the unit during a grenade priming accident onboard their ship, HMS Duke of Wellington. During the Battle of Verrières Ridge on 25 July 1944, 325 men left the start line and only 15 made it back to friendly lines, the others being killed or wounded by well entrenched Waffen SS soldiers and tanks. On 13 October 1944 – known as Black Friday by the Black Watch – the regiment put in an assault near Hoogerheide during the Battle of the Scheldt in which all four company commanders were killed, and one company of 90 men was reduced to just four survivors. On 4 May 1951, the regiment mobilized two temporary Active Force companies designated, "E" and "F" Companies. "E" Company was reduced to nil strength upon its personnel being incorporated into the 1st Canadian Highland Battalion for service in Germany with the North Atlantic Treaty Organization. It was disbanded on 29 July 1953. "F" Company was initially used as a replacement pool for "E" Company. On 15 May 1952, it was reduced to nil strength, upon its personnel being absorbed by the 2nd Canadian Highland Battalion for service in Korea with the United Nations. "F" Company was disbanded on 29 July 1953. The 1st Canadian Highland Battalion originated in Valcartier, Quebec on 4 May 1951. On 16 October 1953, it was redesignated the 1st Battalion, The Black Watch (Royal Highland Regiment) of Canada. The 2nd Canadian Highland Battalion originated in Aldershot, Nova Scotia on 10 April 1952. On 16 October 1953, it was redesignated the 2nd Battalion, The Black Watch (Royal Highland Regiment) of Canada. The 2nd Battalion, commanded by Lt.-Col. R.M. Ross, served in Korea as part of 25th Canadian Infantry Brigade following the armistice from 29 October 1953 to 3 November 1954. On 1 July 1970, when the 1st and 2nd Battalions were reduced to nil strength and transferred to the Supplementary Order of Battle, the Reserve Force battalion automatically relinquished its numerical designation. The regimental colour of The Black Watch (Royal Highland Regiment) of Canada. In the list below, battle honours in capitals were awarded for participation in large operations and campaigns, while those in lowercase indicate honours granted for more specific battles. Battle honours in bold type are authorized to be emblazoned on regimental colours. Black Watch tartan, also known as the "Government sett". Gallant Black Watch, a Scotch style march and two-step, was composed by Bert L. Billings and published in Toronto by Whaley, Royce & Co., circa 1906. ^ "The Black Watch (Royal Highland Regiment) of Canada Armoury". Directory of Designations of National Historic Significance of Canada. Parks Canada. Retrieved 29 July 2011. ^ Black Watch (Royal Highland Regiment) of Canada Armoury. Canadian Register of Historic Places. Retrieved 29 July 2011. ^ a b Terry Copp (31 October 2007). The Brigade: The Fifth Canadian Infantry Brigade in World War II. Stackpole Books. pp. 11–. ISBN 978-0-8117-3422-6. Retrieved 6 June 2011. ^ "The Creation of the Commemorative Theatre Honour and Honorary Distinction "Defence of Canada – 1812-1815 – Défense du Canada"". Department of National Defence. 14 September 2012. Archived from the original on 22 May 2013. Retrieved 17 September 2012. ^ "Gallant Black Watch". Amicus.collectionscanada.gc.ca. Retrieved 9 January 2012. Earl John Chapman "Black Watch of Canada: The Early Years 1862-1878" Montreal : Black Watch (Royal Highland Regiment), 2006. Earl John Chapman "Not Every One A Castle: Regimental Homes of Canada's Black Watch" Montreal : Black Watch (Royal Highland Regiment), 2006. R.C. Fetherstonhaugh "The 13th Battalion Royal Highlanders of Canada, 1914-18"
Victoria Schofield "The Highland Furies: The Black Watch (1739-1899)"
Lieut.-Colonel C.B. Topp "The 42nd Battalion, C.E.F. Royal Highlanders of Canada in the Great War"
Wikimedia Commons has media related to Royal Highlanders of Canada.